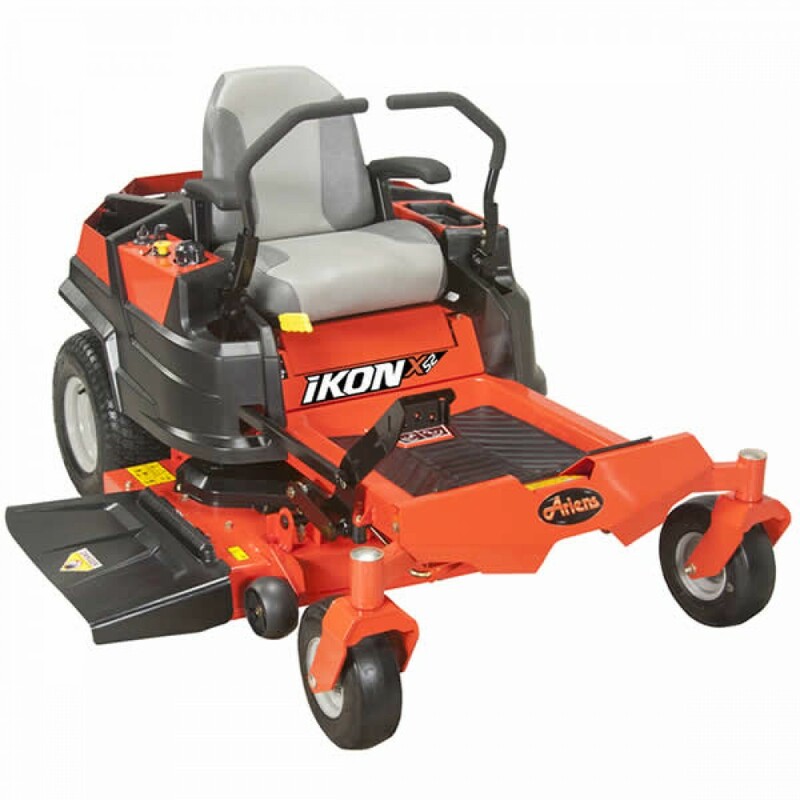 The Ariens IKON-X is packed with commercial quality—a tougher, longer-lasting zero-turn, built to perform way above its pay grade. You'll get more quality, more comfort and pro features you won't find on anything else in its class. Like a commercial-grade fabricated deck and height-of-cut adjustment with the turn of a dial. All with the same American-built quality that's made Ariens the homeowner's go-to for generations. Plain and simple, the IKON-X is more mower for the money. And it's your chance to step up to a superior mowing experience. Premium 24HP/725cc Kohler 7000 Series OHV Engine- Overhead valve design for better fuel economy & top performance. Full-pressure lubrication system with full-flow filter. Dual Hydro-Gear™ EZT Hydrostatic Drive System- Fan cooled 10cc pumps and wheel motors on each drive wheel. No shifting necessary for effortless operation. 52-Inch, 3-Blade Fabricated Mower Deck- 10-gauge steel deck design. 4 support positions prevent excess deck movement. Mechanical foot lift raises & lowers mowing deck. Best In Class Dial Height Of Cut Selector- Select 1 of 13 cutting positions in 1/4” increments with the turn of a dial. Cutting height range of 1.5” to 4.5”. Fully Tubular 3-Inch Frame- Welded joints provide structural rigidity for added strength and stability. Adjustable Plush High-Back Seat w/ Arm Rests- Seat springs for added comfort and simple lever adjustment. Front- Smooth 11" x 4"
Rear- Turf 18" x 8.5"
Ariens 715091 Grass Mulching Kit Fits Zoom XL 54"